We’re less than one week away from the US premiere of Marvel’s Black Panther live action film and The Blot can’t wait! This film is being touted as the best Marvel film of all time, and is still rocking a perfect 100% on Rotten Tomatoes. Who knew a Black Panther movie would take super hero films to the next level!?! 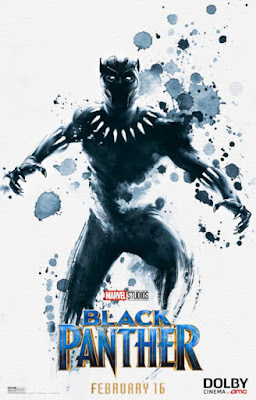 To help pass the time until we can all go see Black Panther in theaters, check out this super cool DOLBY Cinema Theatrical One Sheet Movie Posters. They really went the artistic route with this movie poster, as the design looks like it was actually painted on with water colors.